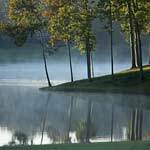 Spring is an important time to protect turfgrass roots from nematode feeding. If nematodes are left uncontrolled, they can severely hamper new root growth, slow spring green-up and send turf into the summer in a weakened state. 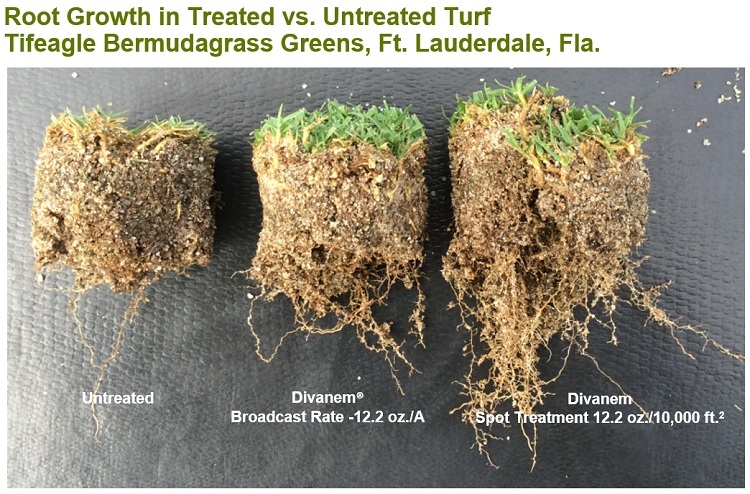 If nematode populations are very high or damage is already evident, Divanem® nematicide can now be applied to golf course turf at a spot treatment rate of 12.2 fl. oz./10,000 ft.2 for improved control and enhanced turf quality. Spot-treatment applications of Divanem have been shown to provide rapid knockdown of sting, lance, root-knot and spiral nematodes, as well as faster turf recovery. Treatments applied four times on a 28-day interval (June 26, July 27, August 21 and September 30, 2016). Photo taken September 27, 2016. Trial by Neil Young, Turfgrass Environmental Research. Spot treatments are limited to 10,000 ft.2 per acre and four applications per year, and should be tank-mixed with a soil surfactant and watered-in immediately, just like with broadcast applications. The Divanem supplemental label must be in the possession of the user at the time of spot treatment. Superintendents can also use existing inventory of Divanem at the spot treatment rate if they have the supplemental label on hand. With activity against all major root-feeding nematodes, Divanem is an important foundation for any nematode prevention program. 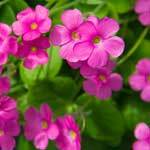 Four applications in the spring on a 28-day interval at the spot treatment rate of 12.2 fl. oz./A are recommended in most cases. Because turf roots damaged by nematodes are more susceptible to disease, Syngenta recommends the addition of a fungicide with a nematicide treatment to protect against diseases and abiotic stress. These applications are often tank-mixed and watered-in with fungicides such as Velista®, Headway® or Heritage® Action™ to help prevent fairy ring, summer patch and other root diseases. As turfgrass root growth begins to ramp up in the spring, superintendents are encouraged to scout for nematode pressure and send soil samples to a nematode laboratory. 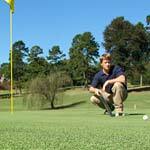 All turf is susceptible to nematode damage, regardless of region or soil type. A lab can provide an initial population count, which can be used to decide whether nematicide applications may be beneficial. For more information on how to collect a nematode sample, and for a list of nematode labs in your area, visit the Nematode Knowledge webpage. While nematode assays are a useful for making management decisions, they are generally not good tools to measure nematicide performance. Nematode populations fluctuate over time, increasing and decreasing with root growth and soil conditions. Furthermore, nematicide applications can lead to increased nematode populations in the long run, as more roots can support higher nematode populations. 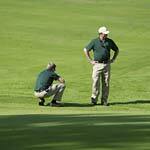 ​​​​​​​The best way to evaluate nematicide performance is by assessing turf quality, root growth and stress tolerance. If possible, leave an untreated area for comparison so you can see the impact of your nematicide program side-by-side. 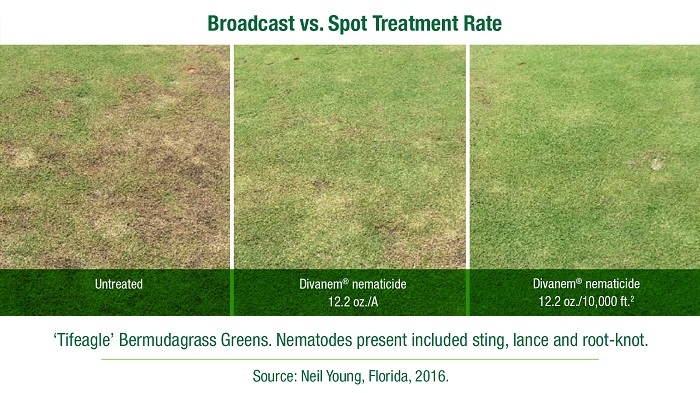 For more information about effective nematode control and the spot treatment rate for Divanem, visit GreenCastOnline.com/Divanem or the Nematode Knowledge webpage. ©2019 Syngenta. Important: Always read and follow label instructions. Some products may not be registered for sale or use in all states or counties and/or may have state-specific use requirements. Please check with your local extension service to ensure registration and proper use. Divanem is a Restricted Use Pesticide. Syngenta supports a FIFRA Section 2(ee) recommendation for Velista fungicide to control summer patch, brown ring patch, spring dead spot, fairy ring, leaf and sheath spot and rapid blight on all turf types. Please see the section 2(ee) recommendation to confirm that the recommendation is applicable in your state. Action™, Divanem®, GreenCast®, Headway®, Heritage®, Velista® and the Syngenta logo are trademarks of a Syngenta Group Company.